The ancient settlement of Luss in Scotland has been a place of Christian pilgrimage for 1,500 years. It sits on the banks of Loch Lomond – Britain’s largest inland lake – and lies within Scotland's first national park, the Trossachs National Park. The parish church is dedicated to St Kessog who preached here and died at the hands of Druids in 520. St MacKessog, or Kessog, brought Christianity from Ireland in the 6th century and founded a monastery on neighbouring Inchtavannach (island of the monks). Luss is home to around 250 people but receives some 750,000 visitors each year, many of them wanting to visit the church. Luss has built a Pilgrimage Centre which has meeting and craft rooms, and a cinema room. Luss was one of nine cities and 22 organisations and faiths that were founding members of the Green Pilgrimage Network, launched at Assisi, Italy, in November 2011. St Kessog was one of Scotland's first Christian martyrs. Born into the royal family of Munster in Southern Ireland in around 460 AD, he arrived in the area in the 6th century and founded a monastery on nearby Inchtavannach (island of the monks). St Kessog's reputation made Luss a major centre of pilgrimage with people coming far and wide to worship at his shrines. 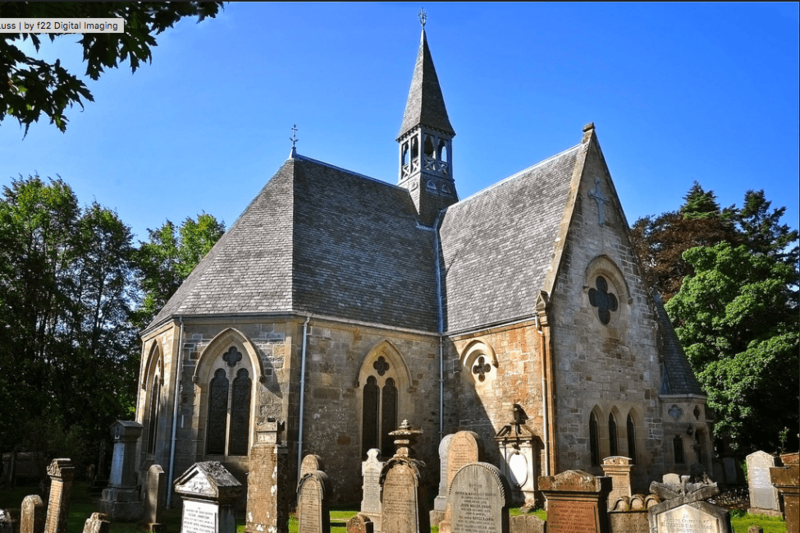 After the 16th century Scottish Reformation, St Kessog's following declined but has increased greatly in recent years. 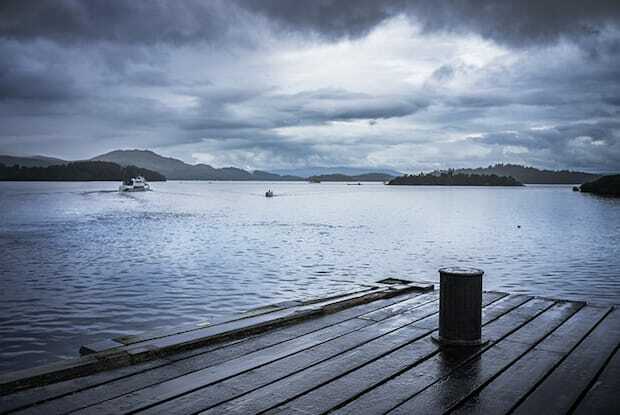 Luss is a small village but receives 750,000 visitors each year. The Parish Church has been equipped with a sound and light show which tells the story of Luss. Plaques with poems and Bible verses challenge visitors to think on those things which are ultimately important. Some paths tell the story of Saint Kessog, while others remind people of the promises of the Gospel. Others encourage pilgrims to think through themes such as love and conservation. New paths describing the lives of Saint Francis and St. Columba opened in 2014.
produced a new National Park Plan to continue its work on conservation of wildlife and habitats. It includes creating a sustainable traffic system for all the paths and roads used by pilgrims and visitors, as well as a commitment to make pilgrim accommodation and businesses more eco-friendly and faith consistent. It also includes improving waste and rubbish disposal. A new youth project plans to involve young people from across the world to build a pilgrimage pathway along the banks of Loch Lomond. 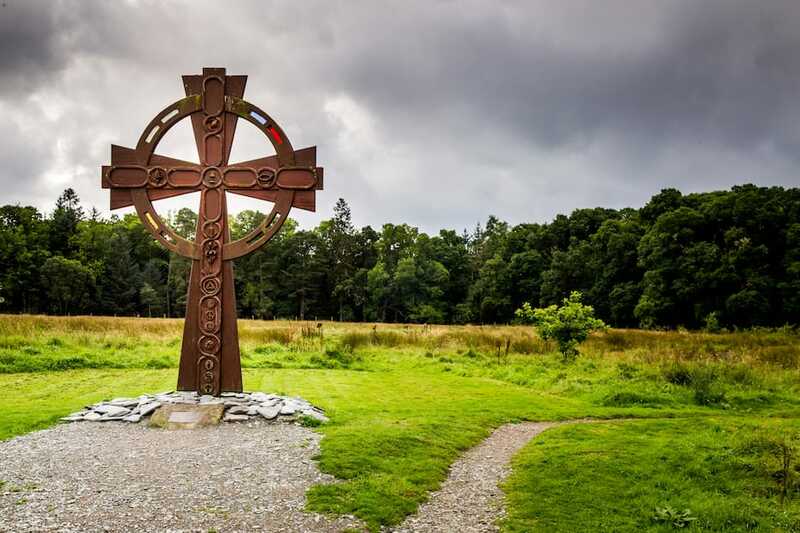 It is planned that the example set by Luss will be followed by people along the network of pilgrimage pathways crossing Scotland, which will be supported by the Scottish Government and local authorities. The Church of Scotland has developed Together We Walk, a European-themed pilgrimage for churches to use around their buildings. The Church says: 'Pilgrimages are journeys put into God's hands. Historically pilgrimages would be to traditional sites of significance in the Church. The idea of journeying together, walking with God and finding God in our conversations as we walk together is important.' For a copy, click below. ​by SW Cook; View over Loch Lomond by Neil Williamson; Luss Parish Church by Jim MacBeath; Luss pilgrimage by Dane Shepherd.